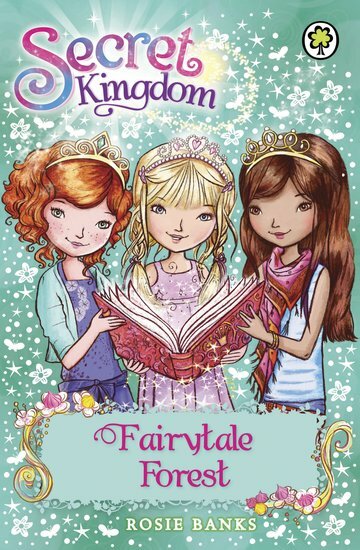 Ellie, Summer and Jasmine are looking forward to some storytime fun with the book brownies at Fairytale Forest. But Queen Malice is up to no good again, and she casts a spell to wither all the book buds growing on the trees. Can the girls find a way to break her spell and get the books growing again? This story won’t end happily unless they get the buds they need to stop King Merry becoming a stink toad! When I first saw the book I thought it would be interesting, the cover looked like it had every colour of the rainbow on it. The story was about breaking the wicked Queen Malice spell against King Merry. My favourite part was when Jasmine, Summer and Ellie made a book bud grow. My favourite character was Summer as she came up with the idea to make the book buds grow. I was I had a book tree in my garden. My worst part was when Queen Malice cast a spell “Reading is ruined when books and buds die. Dry up wither, fall down from high!” and all the books dried up and all the pages fell to the ground. This made me very angry with Queen Malice. I felt happy when they found the book bud to help save King Merry. I do hope they manage to find everything else they need for the potion to save King Merry from being a stink toad forever.